Of course, the idea of ‘not needing Mack’ is completely ludicrous — but the presence of potential replacements isn’t. Now, when I say ‘replacements,’ please understand I know that there’s probably not a player in the entire league who could actually replace Mack — and yet the Raiders are surely hoping they’ve got a few guys who can soften the blow. One one hand, the loss of Mack disrupts what would have been one of the best defensive line rotations in all of football — something the Raiders haven’t boasted in eons. Add Mack to a group that includes Bruce Irvin, Justin Ellis, Maurice Hurst, PJ Hall, Arden Key, Tank Carradine, and others and you’ve got the makings of a dominant front four. On the flip side, the presence of those other names — particularly the rookies Hurst, Hall and Key — make losing Mack as un-catastrophic as humanly possible. 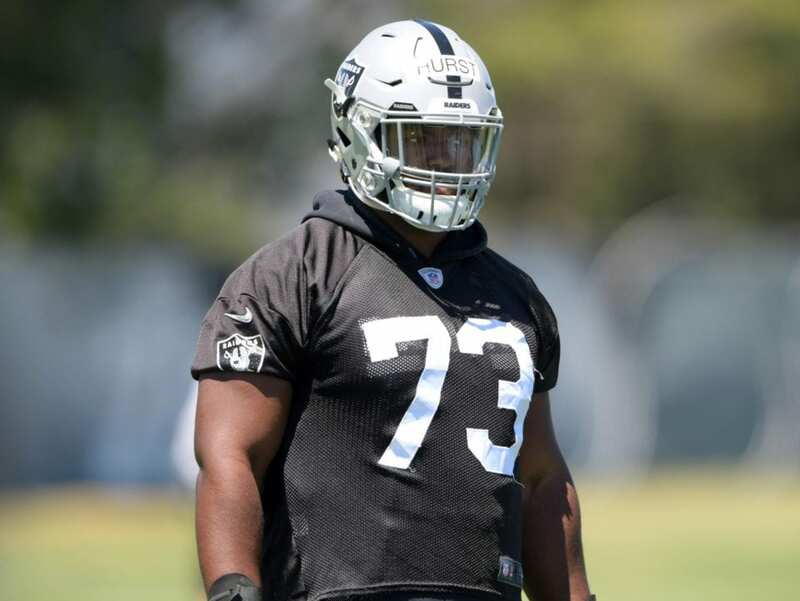 In a way, you could argue that the trade of Mack was Jon Gruden doubling down on his three rookie linemen — betting big on three guys who have never once played in a real NFL game before. Now over four months removed from the 2018 NFL Draft, it’s hard to have imagined that we’d be here talking about Hurst, Hall, and Key in the manner we are. Hall, the team’s second round pick, wasn’t even invited to the combine after attending a school that some folks have probably never heard of before. He’s an undersized interior lineman that caught people’s eye thanks to his absurd performance at his school’s pro day. Just consider: the NFL Combine invites upwards of 300 players to the combine each year and Hall wasn’t one of them — and yet, just a few weeks later he was selected with the 57th pick in the draft. Then there’s Key, the guy the Raiders were accused of ‘reaching’ for when they selected him in the third round just 30 picks after they selected Hall. Key was at once the number one draft prospect entering his junior year before off-the-field issues popped up and destroyed his draft stock. As if two lottery tickets weren’t enough for the Raiders, they popped Hurst in the fifth round (No. 140 overall) — a first-round talent who had fallen because of medical concerns. Once projected as a top-20 pick, Hurst’s heart issues pushed him off of many teams’ boards, allowing him to fall all the way into the fifth round before the Raiders took a chance. One guy was overlooked, one guy was given up on and one guy had too many questions — and yet now, the Raiders couldn’t be happier to have all three. Hall recorded a sack on his first preseason snap, while Hurst has added 1.5 sacks of his own this preseason. Key, on the other hand, has missed time due to injury and yet it’s him that might be the most exciting of the bunch — reminding some folks of Aldon Smith (the good version). While none of these guys can be expected to fill the shoes of a Defensive Player of the Year, it’s clear that the Raiders are expecting them to try their darndest — and betting they will.